Hi, I’m Stacey. I blog over at Boy, Oh Boy, Oh Boy. With three boys at home, it pretty much floats my boat to hear about a new series involving sewing for boys. So I was beyond excited when Narelle asked me to be apart of Boy’s Own Style Month. And lucky me, I get to be the first to share. If you’re not hidden under a rock or giant pile of laundry (which admittedly I am most of the time), you’ve seen how trendy color blocking is in the fashion world this year. And what’s not to love? Bright colors and eye catching designs that draw attention to the simple details. But pay 14 dollars or more for a boys shirt? I think not. This is a superbly easy way to spice up your little guys wardrobe and a great project for refashioning that growing pile of stained t-shirts. The first thing you need to do is mark where you want to cut each t-shirt. Simply measure down and draw a horizontal line. I wanted my contrast line to fall right at the armpits, so for my size S boy, this fell at 5 1/2 inches from the collar. Cut along each line and you will have two top pieces and two bottom pieces. If your t-shirts were the same size, you can skip ahead to the pinning stage. Even though my t-shirts were brand new (you can’t beat 5 dollar Hanes T-shirts), marked the same size, and pre-washed, they ended up being slightly different widths. Which means I needed an extra step. If this is the case, simply turn the larger bottom inside out, cut along the side seam line, mark where the new side seam needs to be and sew along that line. Finish the new seam with a zig-zag stitch, trim the excess material and you’re ready to color block. Time to pin. Slide the contrasting bottom into the inside out contrasting top and pin along the raw edge. Be sure that right sides are facing. Once pinned, sew your seam with a 1/2 inch seam allowance. Finish your seam using a zig-zag, press the seam allowance toward the bottom of the shirt and repeat the steps on the other two pieces. And there you have it! Two color blocked t-shirts. You can play around with the placement of the color blocking line. I think a wide strip at the bottom would look just as nice. And if you’re working with a pocketed tee, carefully pick the pocket seams and play switch-a-roo for an added focal point. I’m so glad I was able to share with you all today. 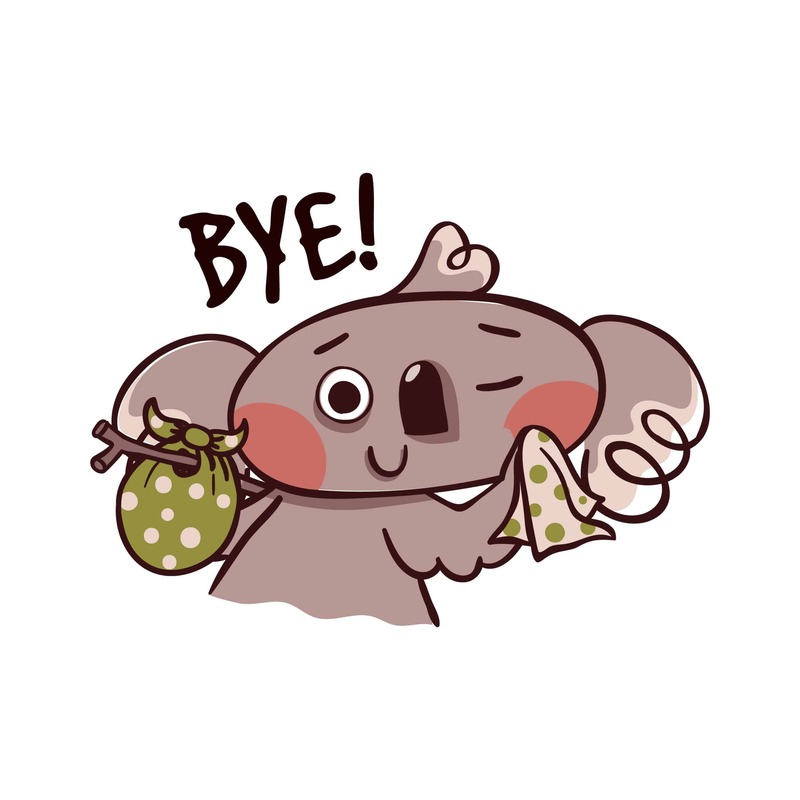 Thanks, Narelle. If you’re looking for more boy filled fun, I’d love for you to stop by Boy, Oh Boy, Oh Boy! I love meeting other moms of boys who are interested in sewing and crafting, so please drop a note and let me know you stopped by. 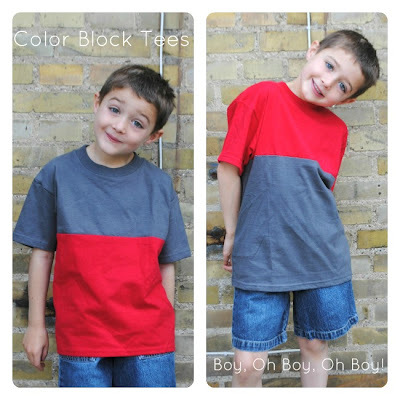 Thanks Stacey – I love a simple sewing project, and the T-shirts look great on your boy (I love his model pose too!). My son would love this! He actually wants me to do one down the center, vertical. I just haven’t gotten around to it yet!